Frozen foods are now available in more flavors and varieties than ever before. From frozen pizza to frozen fries, vegetables and exotic fruits, there are thousands of products on the market. Their quality and taste have improved, too. The global frozen food market is expected to reach $333.56 billion by 2023. Whether you want to switch careers, gain financial freedom or supplement your revenue, consider starting a frozen food business. In 2017, the leading sellers of frozen dinners and entrees were Nestlé USA, ConAgra Foods and Birds Eye Foods. Other popular brands include Amy's Kitchen, Eggo, Iglo, Dr. Oetker and California Pizza Kitchen. Each specializes in one or more types of products, from ice cream to frozen pizza and desserts. If you're considering starting a frozen food business, research the market and industry trends. See how each vendor performs and what products are in high-demand. Determine whether you're going to produce and sell your own frozen foods or purchase them from suppliers. Each option involves different costs and resources. What kind of food are you going to sell? Do you plan to prepare it yourself or buy in bulk from wholesalers? How much money are you willing to invest? Consider these things when writing your business plan. For example, if you decide to prepare your own food, it's necessary to have or rent a commercial kitchen. With a homemade frozen food business, you'll save money on rent. However, you still need to invest in special equipment and comply with comply with food safety standards. This translates into higher costs. Purchasing frozen foods from distributors or wholesalers is a more affordable option. If you choose this path, make sure you have a warehouse or another facility to store the products. Factor in the cost of rent, kitchen supplies, ingredients, utilities and marketing materials. Determine whether you want to sell specific types of food or a little bit of everything. Let's say you're really good at making cookies, cakes or ice cream. In this case, you can start a business that specializes in frozen desserts. Also, decide who you're going to sell to. Your target audience can include local stores, pubs or individuals. It all comes down to your budget and marketing goals. If you're on a budget, you can start a frozen food business from home and sell your products online. As your business grows, you can expand your operations and partner with local venues. After you register your business name and obtain a tax ID number, it's necessary to apply for certain licenses and permits. You will need a general business license, a food permit from your state health department, and food handling permits for yourself and your employees (if applicable). Food permit requirements vary from one state to another. In general, this certificate is legally required for stores that sell packaged foods as well as for restaurants, food trucks and food vendors. However, if you sell minimally packaged foods, such as fruits and vegetables, you may not need this permit. Also, make sure you comply with FDA’s regulations. You can find this information on the organization's official website or check the General Navigation Guide for Manufacturers of FDA-Regulated Products and Start-ups. To stay on the safe side, contact a local FDA Public Affairs Specialist and ask about the rules and regulations relating to your business. Research your competitors and try to come up with something different. The frozen food market is competitive, so it won't be easy to stand out from the crowd. If you offer the same products as everyone else does, you may find it hard to make a profit. Promote your frozen food business locally and online. Depending on your target audience, you can distribute flyers and brochures, contact local dining and food market venues or sell your products through distributors. You can also target specific groups of customers, such as vegans and vegetarians, fitness enthusiasts or specialty stores. Do not buy or lease equipment until you're sure your revenue can cover the investments. 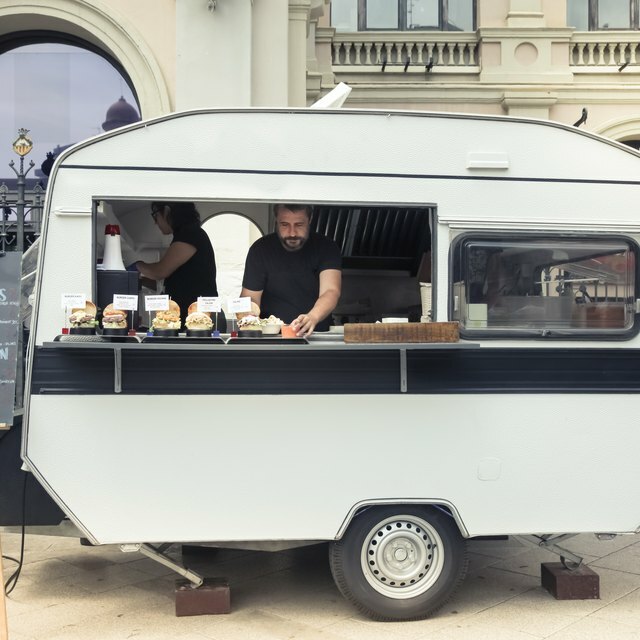 Initial expenses of delivery truck leases, kitchen equipment purchases and real estate agreements often take years to recover. They also can eat up capital, requiring you to go further into debt to keep your operation running. Never operate a food business without the proper license or permit. Not only can it result in fines, it will likely permeate throughout the industry that you are unprofessional and do not care about health codes and the quality of your food products. Try your best to specialize. Selling frozen foods customers can buy in supermarkets is not recommended. Unique health foods, homemade foods and products exclusive to your area will bring you the best results. Stay small in the beginning. The food business is largely built on reputation. Trying to cover a customer base that's too large will often result in unhappy customers. Sell one or two products only in the beginning, and focus on providing stellar customer service. Have a website. This will add to your professionalism and allow prospects to browse and become familiar with your company at home before they buy. The Small Business Balance: Do I Need a Health Permit for My Business?